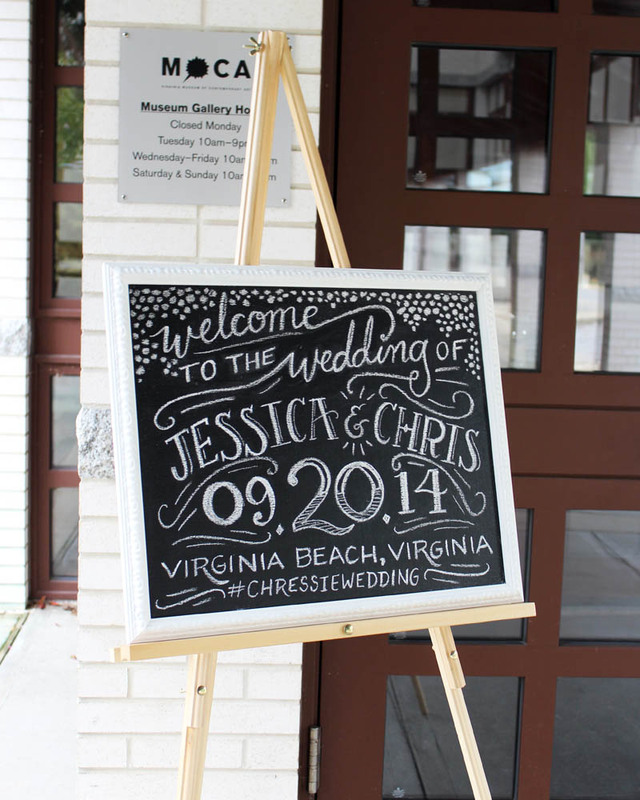 Jessica came to us to design and compose two chalkboards for her wedding at the Virginia Museum of Contemporary Art. 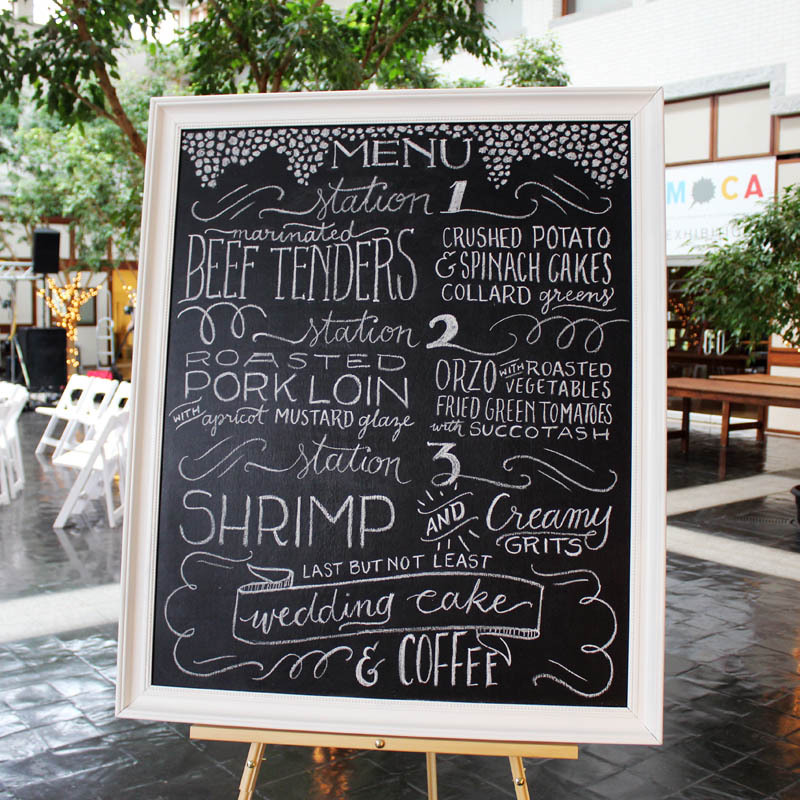 One was a welcome chalkboard to greet guests. The other was a chalkboard menu. 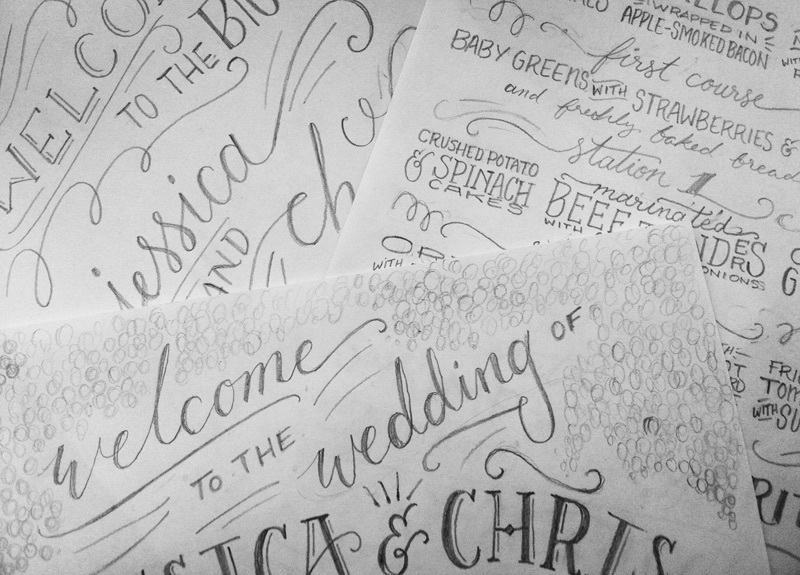 These were a challenge because it can be hard to get detail with chalk in space spaces.